pieniä maalausvirheitä, joita ei ensilmäyksellä huomaa. Computer-length mirror, with Bedienschränkchen, hair dryer holder and outlet. 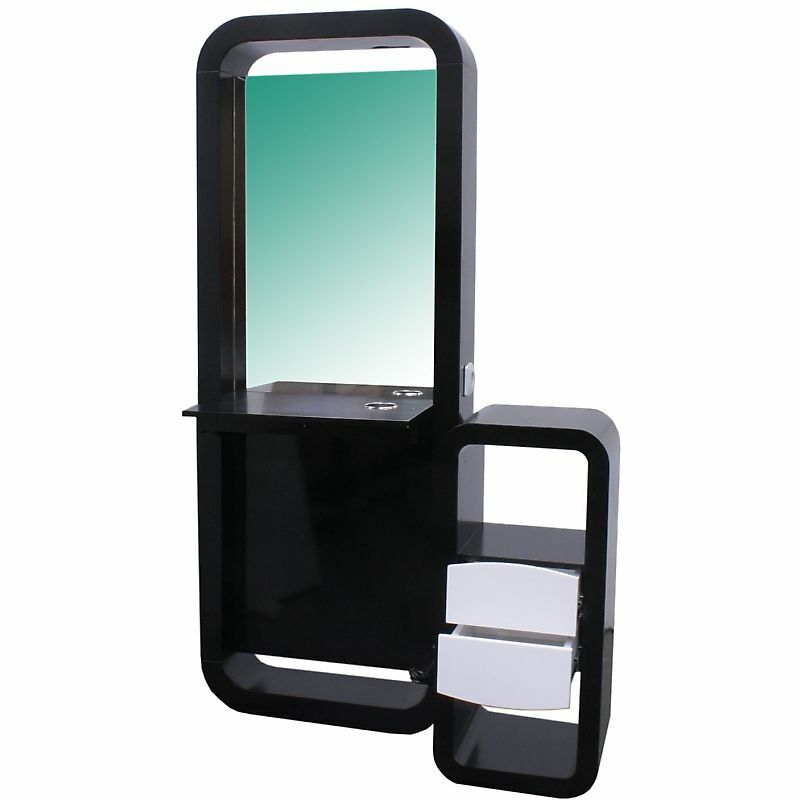 Also available as a double-sided Standing Mirror (Ref. 1915) Our MDF lacquered products are handmade of dimensionally stable MDF, sanded and primed. Then 4 layers topcoat can be applied and sanded wet. This creates a very deep paint quality, similar to that of piano lacquer. The article is delivered pre-assembled in two large boxes. However, all connections must be checked before use thoroughly for tightness and tightened if necessary. Unpacking and installation: The product is supplied largely pre-assembled. The assembly effort is low and to accomplish any problems even for absolute layman. However, all connections must be checked before use thoroughly for tightness and tightened if necessary.